Cynsations: Guest Post: Jennifer A. Nielsen on Losing Your Audience? Do This, Not That. Guest Post: Jennifer A. Nielsen on Losing Your Audience? Do This, Not That. If you’ve spent any time speaking to a group, then you’ve experienced it: the awful feeling of losing the audience’s attention and not knowing how to get it back. This happens to everyone from novice to professional speakers. However, the complication we often face as writers is that public speaking is not what we signed up for with this career. We chose a profession that is notoriously private, largely solitary, and that rivals cave dwelling for the way it caters to introverts. Then suddenly we have a book deal, and the pressure to publicly promote it begins. There are a lot of blogs with general tips for public speaking. So to be more specific here, if you find yourself speaking to a group and losing their attention, here are some of my favorite DOs and DON'Ts. DO: Have a message worth sharing. The audience will listen when they want to know what you have to say. So find a message you feel passionate enough about that you can speak with genuine conviction, enthusiasm, and confidence. As I visited schools last year, my main message is that it’s within every person to become extraordinary. It’s something I truly believe in, and that I very much want all children to understand. That single fact made it easier to hold their attention than any amount of training I’ve had as a speaker. DON’T: Talk louder. When you go louder, it only makes the whispers louder. Instead, go quieter, or even go completely silent. Calmly wait for the attention to return to you, ask for it if necessary, then continue on. There’s no point in talking over a whispering audience. When you do, it confirms to them that you’re not saying anything important. DO: Avoid attention failures happening in the first place by knowing your audience. Young children won’t sit through long lectures. In contrast, although a lot of silliness is entertaining, it’ll distract the children as they chat about it with their friends. And if you fail to offer enough meat to adult groups, expect them to turn to a round of Angry Birds instead of listening. DON’T: Come alone. If you can bring visual aids (props, PowerPoint, video clips, etc), do it, especially when working with children. This is a multimedia generation, and if you can engage them visually, holding their attention becomes much easier. DO: Move. Whenever possible, you should never hide behind a podium or stand in one spot to speak. So if you can move about, walk closer to the areas where attention is lagging. That simple act will greatly improve your audience’s attention. DON’T: Make an attention-getting promise you can’t fulfill. Such as, “And then the most amazing thing happened!” Sure, you’ll grab attention for a moment, but if you’re not about to say the most amazing thing, you’ll have cheated your audience. And they’ll know it. DO: Use humor. If this comes natural to you, then great! If not, plan in advance a few funny lines or funny props to help recapture attention when necessary. DON’T: Become frustrated. Audience management is part of the job for all public speakers. Since this happens to everyone, it’s not a personal reflection of how you’re doing. So take it in stride and continue on. But if you become flustered, angry, or panicked, nothing gets better. Stay calm, and bring them back to you. DO: Have fun. Public speaking offers you the opportunity to genuinely impact people’s lives. As long as you have something worth saying, then enjoy your moment. Because no matter what your skill level as a speaker, if you are having fun, then the audience will too. 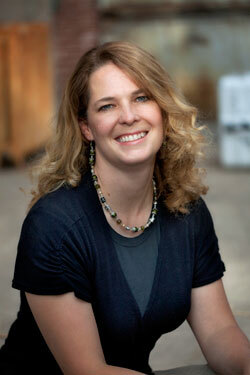 Jennifer A. Nielsen is a Communication Education major and author of The Underworld Chronicles series. 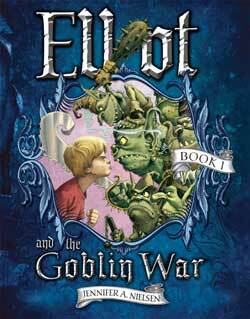 The second book in that series, Elliot and the Pixie Plot, was just released with Sourcebooks Publishing. In April 2012, she will release The False Prince with Scholastic. Jennifer is a frequent presenter at schools and adult writing workshops. Great tips! Especially with regards to kids - you have to speak to their need for short bursts of info to keep them riveted! Agreed, Susan! I'm also a big believer in visuals, lots of them, click, click, click! Laurie, I'm so glad you found some strategies here that resonate with you. Isn't Jennifer amazing? I was a reluctant public speaker, too. In fact, I took a speaking class required for my journalism degree at the local community college because I was scared to take it at the University of Kansas. Fortunately, I had a terrific professor. Who knew it would become such a big part of my grown-up job?